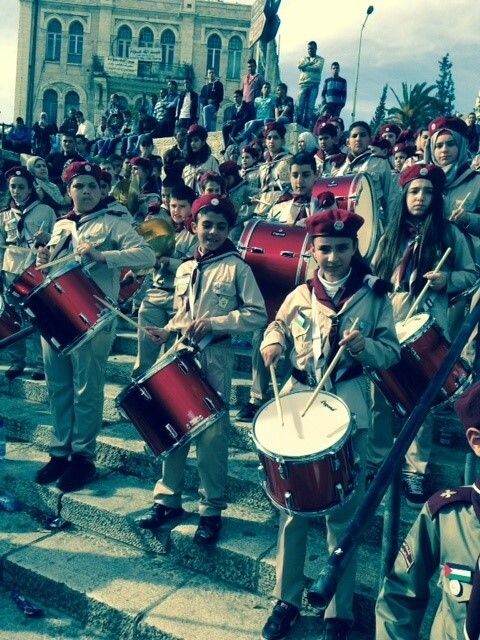 Scouting is thriving here in Palestine in both the Christian and Muslim communities. 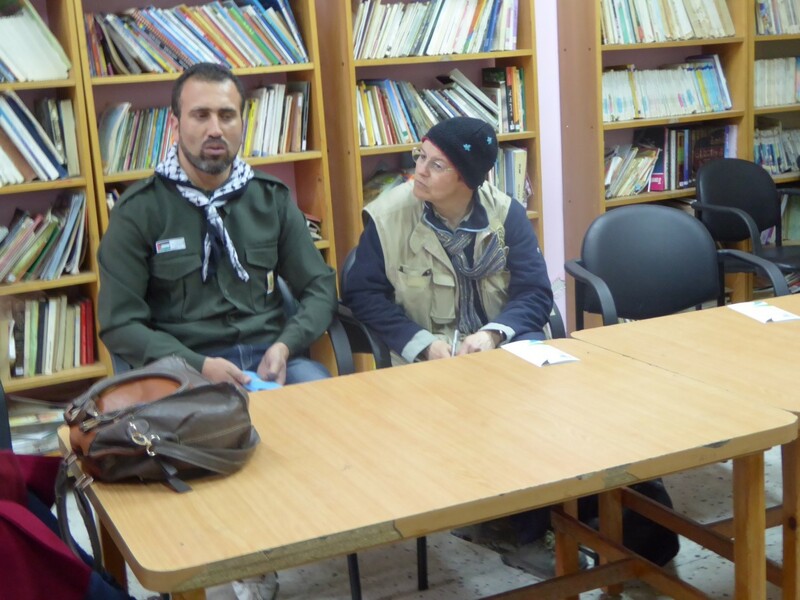 In April I visited members of the Hebron Scout and Guide Commission at their offices in Ein Sara Street, Hebron. I met with Zain Al Den Takrouri, a long-time Scout leader, Zain Asqalan, a Rovers leader (for 18-25 year olds) at Al Khalil University and Haneen Baradeyah, a Brownies and Cubs leader. They presented me with a Palestinian necker. There are seven Scouting groups for all ages in the Hebron Commission area plus five groups that are temporarily suspended due to a lack of leaders. It’s a problem shared with many troops across the world. Scouting in the Hebron area however has many other challenges. For instance, contact with other Scouts in nearby troops is sometimes not possible due to the military occupation. 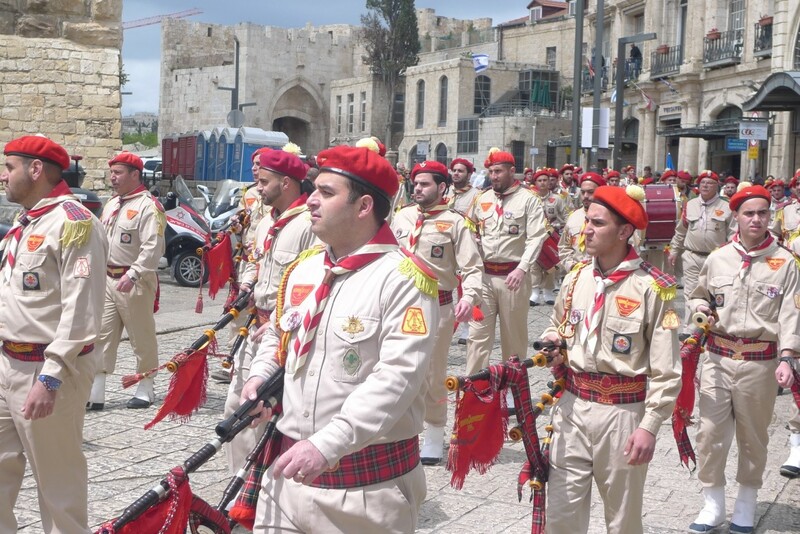 They do the best they can to offer a wide range of activities for Scouts but outside activities are particularly difficult because it may not be safe with Israeli soldiers and settlers in the countryside. Contact with Scouts in other cities is difficult too due to the number of checkpoints that are encountered in going anywhere. These checkpoints may be closed at any time and often leaders or young people have been turned back for not having the correct papers or permits, which can be hard to obtain. So Scouting here often relies on the internet and social media for cross area contacts. These leaders all believe the land is the Holy Land for Muslims, Christians and Jews, but state that all need to be able to live together in one society with one land and be one people. They hope for liberation soon. 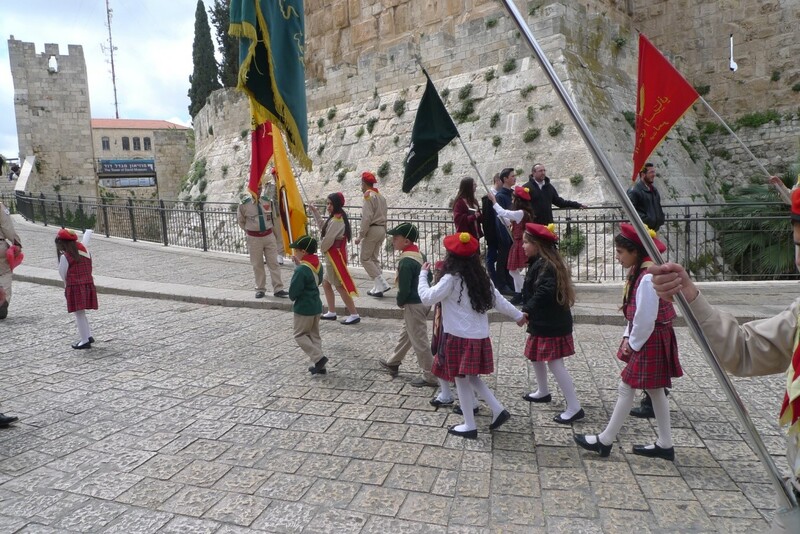 The Scouts would like to have more outdoor activities and agree that Palestine has some beautiful areas to explore both for hiking and camping. Zain gave an example though of a hike she had planned for her Rover unit from the university that had to be cancelled because it went too near the nearby settlement. The possibility of being shot was too high to contemplate the activity. I asked all of the leaders what they got most out of Scouting. Hanneen lives in Surif, a town much affected by Israeli settlements and the nearby eight-metre Separation Barrier. The Israeli authorities are building the Barrier on land that the international community says belongs to Palestine. Many Palestinian houses that are along the route where the Barrier will be built have demolition orders on them. There is a crossing point between Hanneen’s town and Israel but she cannot cross as the checkpoint is closed to Palestinians. Zain lives near Haneen in Safa but if the checkpoints are closed then people in the village cannot access university or school and labourers and other workers cannot get out or in. Last week 100 olive trees were pulled up by settlers and clashes most days with armed settler groups can happen even when small children and the elderly are present in the fields. In the last week, markings on the ground have been put down which they think is for the extension of the Barrier. Zain lives with her in-laws. Her husband would like to build them a house on his parent’s land but is frightened to start without a permit – these are very difficult to get and if they start building without one they will get a demolition order. Zain has been a Scout for 19 years. She is now a leader of the clan of Rovers at the local university and a local leader of Messengers of Peace, a World Scouting initiative inspiring Scouts to bring about positive change in their community. As head of media for the Hebron Scout and Guide Commission, Zain also works to transmit a good image of Palestine which is difficult under occupation, but she says she will never give up: “There are many obstacles and we are all victims but we make our own reality”. Zain has been in Scouting for 54 years. 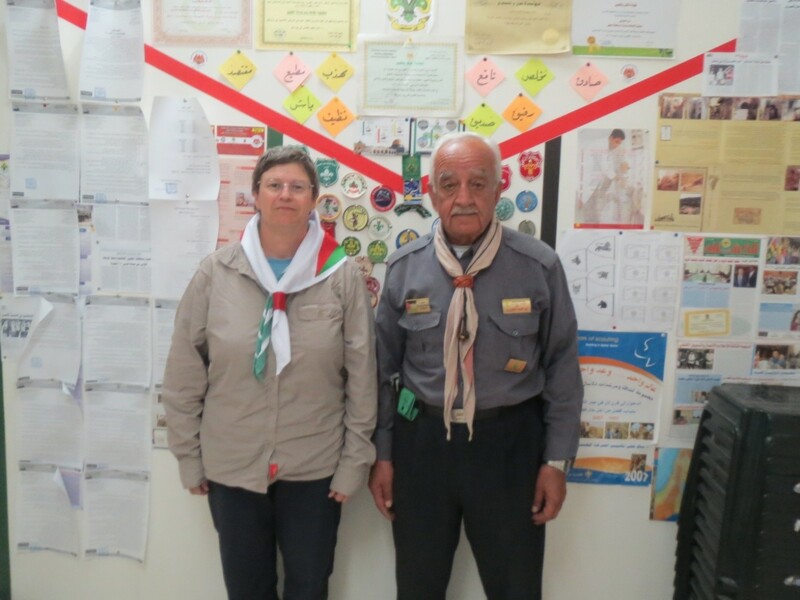 I also met some leaders and older Scouts in the Al Fawwar Refugee Camp which has been running Cubs, Scouts and Rovers units for about eight years. They have approximately 50 boys involved. The Guides run a group at a nearby girls’ school. 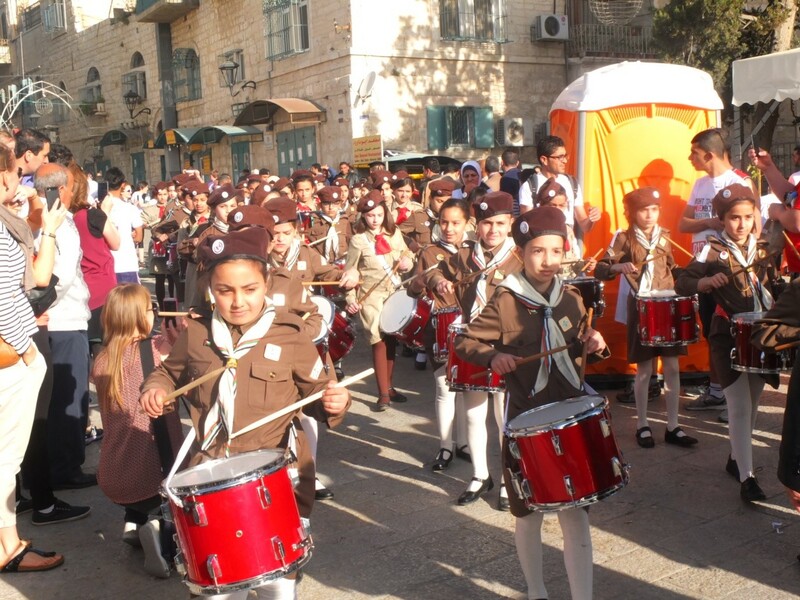 Meanwhile across Palestine and in East Jerusalem, Scout bands can be seen regularly taking part in many celebrations both religious and civil. It seems wherever there is a procession there will be a Scout band. 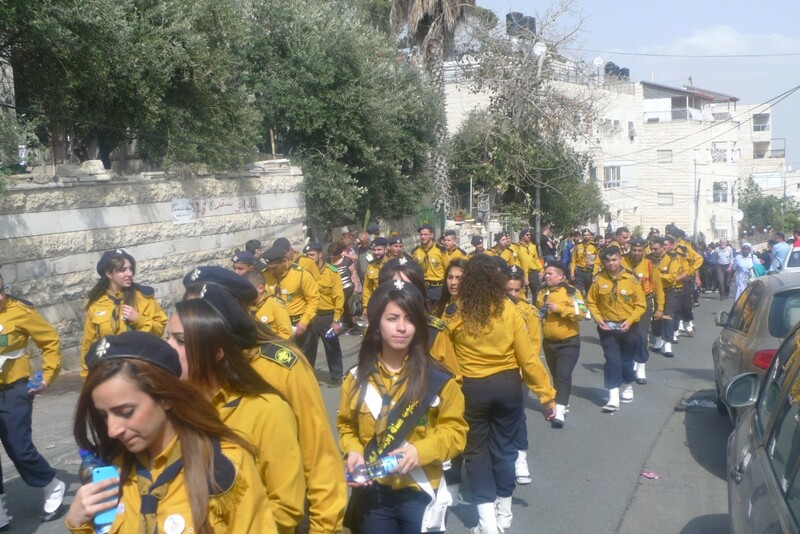 Below is a selection of pictures taken during our time in Palestine and East Jerusalem. The leaders are all working in difficult circumstances we can only imagine but they still inspire a new generation of boys and girls into Scouting.